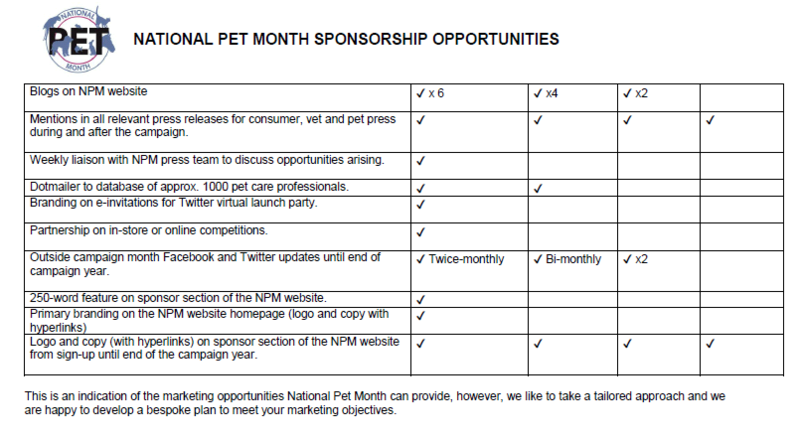 If you are a pet friendly business or organisation, we have a range of sponsorship opportunities available during National Pet Month and throughout the year. Our tailored packages give you access to more than 100,000 pet fans, allowing you to promote your support for our pets, along with your products and services, in a targeted and cost effective way. There’s a range of options to suit everyone! Even outside of National Pet Month, Pet Care Aware exists to deliver your messages to your target audience 365 days a year.